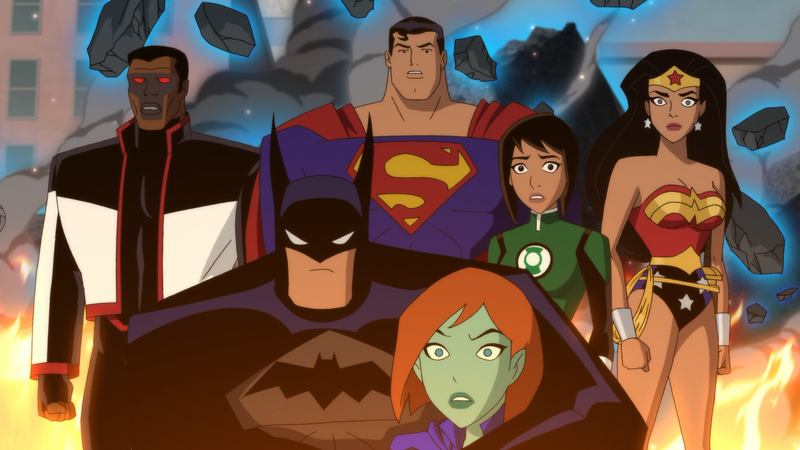 The animated side of DC release two movies, one with an inter-connected universe, the other standalone, though it is a somewhat continuation on the Justice League and Justice League United animated series. Justice League vs. The Fatal Five is the latter. While I don’t think this was one of the best among the DC animated movies, it was still entertaining with a solid story at the core. The plot begins in the distant future when super-villains Mano (PHILIP ANTHONY-RODRIGUEZ), The Persuader (MATTHEW YANG KING) and Tharok (PETER JESSOP) take a time machine to the 21st century despite the efforts of Brainiac 5 (NOEL FISHER), Saturn Girl (TARA STRONG) and Star Boy (ELYES GABEL) to stop them, though at the last second, Thomas Kallor a.ka. Star Boy (ELYES GABEL) manages to hang on. The ship crash lands near Metropolis and Star Boy in, I guess, Gotham, but he has amnesia and without proper medicine from the 30th century, basically goes manic, and eventually has a run-in with Batman (KEVIN CONROY), sending him off to Arkham as Superman (GEORGE NEWBERN) takes the ship, its occupants frozen thanks to some, basically, malware installed, to STAR Labs. Soon enough, three of the Fatal Five manage to escape, when Mr. Terrific (KEVIN MICHAEL RICHARDSON) cracks some sort of code to open the ship up. 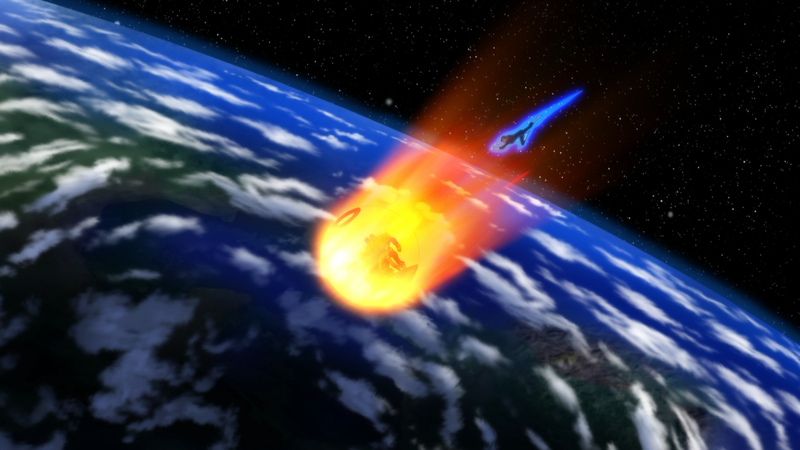 It becomes apparent their objective in this time and era: to break out Emerald Empress (SUMALEE MONTANO) and Validus. But they are also after the anxiety-ridden Green Lantern, Jessica Cruz (DIANE GUERRERO), who doesn’t know why the ring chose her and resists joining the Justice League, despite Wonder Woman’s (SUSAN EISENBERG) persistence. Now the Justice League, along with the amnesia-stricken Thomas, must stop the Fatal Five and their plans that could end life on Earth. Justice League vs. The Fatal Five is a well done and fun little adventure film with some beautiful animation that was a great flashback to the Justice League animated series. The voice acting is, of course, top notch seeing (hearing anyway) the return of the legendary Kevin Conroy as the Dark Knight and George Newbern voicing Superman. 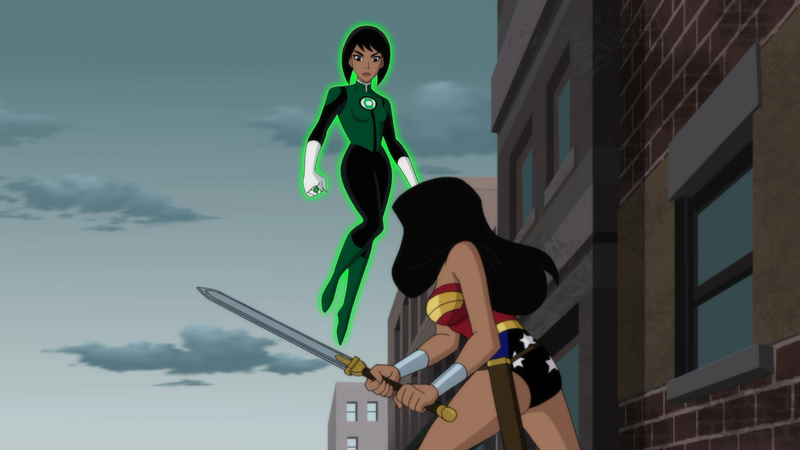 I also enjoyed Diane Guerrero as Jessica Cruz, hopefully she returns in any follow-ups. The film was directed by long-time animation storyboard artist and helmer Sam Liu who didn’t start off on the strongest foot with Batman: The Killing Joke (easily the worst of any of the DC animated films) but since has done some good work on the likes of Batman: Gotham by Gaslight (Elseworlds story) and even Superman: Reign of the Supermen, a flawed film that didn’t live up to The Death of Superman but still was decent enough. Justice League vs. 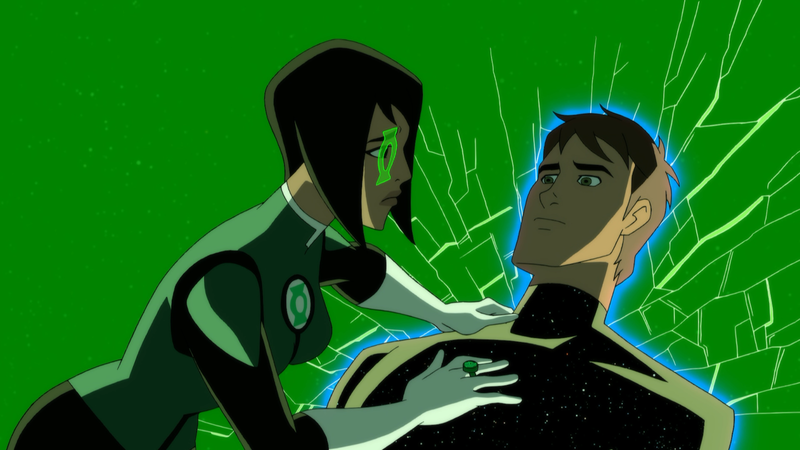 The Fatal Five might not be upper echelon of the DC Animated Universe, it is still an entertaining enough film with some genuine emotion at its core, especially for Jessica Cruz and her developing friendship with Kallor. This release comes with an embossed and glossy slip cover; inside is the redemption code for the Digital HD copy. Audio Commentary – Executive Producer Bruce Timm, Director Sam Liu, Co-Producer Jim Krieg and Writer Eric Carrasco. Sneak Peek at Batman: Hush (9:18) gives a preview of the next DC Animated movie with interviews by the director and soundbites from the voice cast (Jason O’Mara, Jerry O’Connell, Peyton List, Jennifer Morrison, etc). This is part of the DC connected animated universe with the same voice cast. Justice League vs. The Fatal Five: Unity of Hero (15:11) – This is a featurette on the ensemble of diverse cast of characters and how it aids the story. Battling the Invisible Menace (8:05) is on the internal conflict within the heroes, specifically Jessica Cruz and Star Boy overcoming each of their adversity. Also includes previously released Previews for Justice League Dark and Justice League vs. 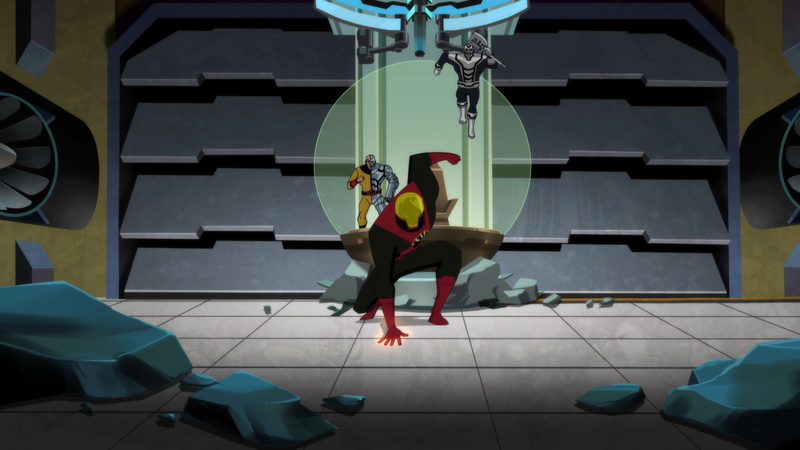 Teen Titans, along with episodes ‘Man of Tomorrow’ from Legion of Super Heroes and ‘Far from Home’ from Justice League Unlimited. Warner Brothers Home Entertainment releases Justice League vs. 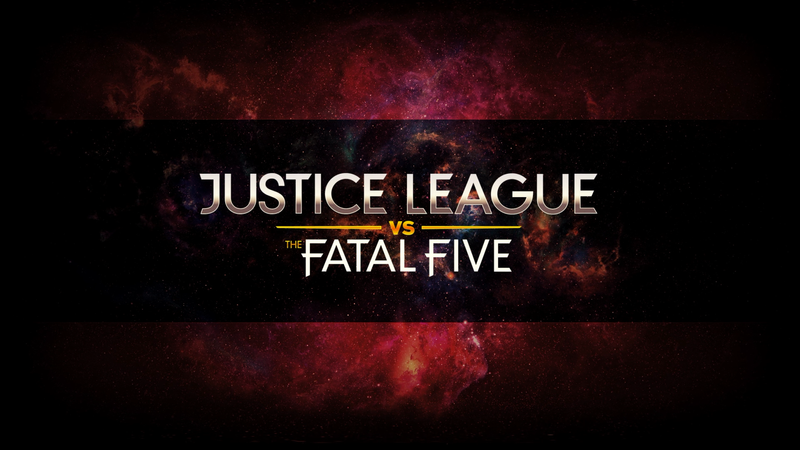 The Fatal Five onto 4K Ultra HD and Blu-ray, both shown with a 1.78 widescreen aspect ratio and 2160p and 1080p high-definition transfers respectively. First, the 4K transfer does look excellent, colors are vibrant and black levels stark, but the difference between it and the Blu-ray is the latter has very apparent instances of banding during some of the sky transition shots. Other than that, however, the Blu-ray transfer does look quite good. No surprise, but there isn’t an Atmos or DTS:X track and instead we get the tried and true DTS-HD Master Audio 5.1 track which I never found incredible or anything but certainly functional with clear dialogue and some minor depth during the many action-centric sequences. Justice League vs. 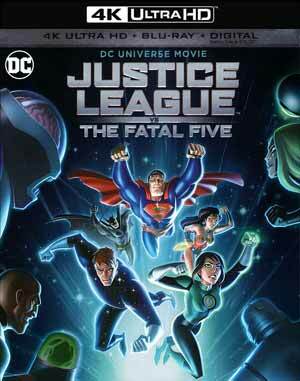 The Fatal Five isn’t one of the better within DC’s animated movie line, however, it’s still a well told story and the animation looks really good being a continuation of the Justice League animated series line. This 4K UHD/Blu-ray combo pack offers up great video and audio transfers and a fine selection of bonus features.